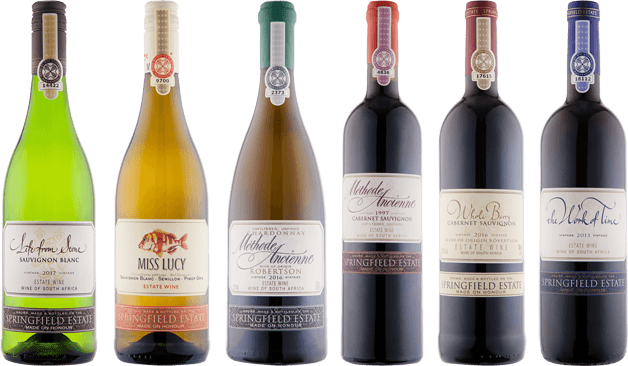 Springfield Estate is a family owned wine estate situated in the Western Cape of Southern Africa. Descended from the French Huguenots, the Bruwer family has been farming on the land, now known as Springfield, for five generations. With generational knowledge handed down since 1902, vineyards are planted in specific sites to capture the best varietal characteristics of each cultivar. 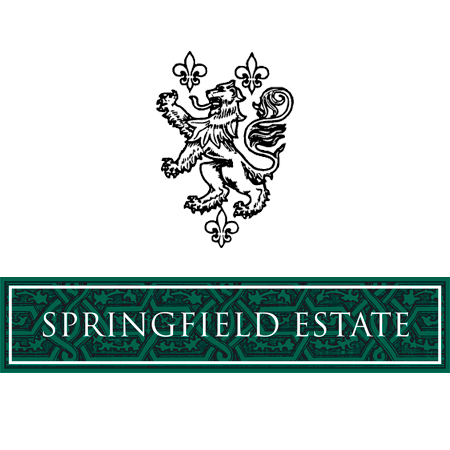 Many of the wines at Springfield Estate are made using natural yeast. This allows the character and the individuality of the grape to truly show itself. Due to the wild yeast fermentation, the family strives to work as naturally as possible, both in the vineyard and the cellar. Current custodians, brother-and- sister team Abrie and Jeanette Bruwer, are always looking for the purest expression of the grape in the glass. This is achieved by their minimalist and ‘hands off’ approach to wine making – the grapes for all the red wines are uncrushed and unpressed – simply de-stemmed, macerated whole, and fermented on the skins. Farming, and making wine, is a series of small decisions that need to be made every day, and the family’s motto, ‘Made on Honour’, guides these decisions every step of the way.